We may be heading into the final weeks of classes, but there’s still one more weekend of fantastic concerts coming your way. With the exception of the Gustavus Wind Orchestra and Gustavus Symphony Orchestra Finale Concert (June 1), this is your last chance to see these fine arts students in action, so join us for this final weekend of performances! Stop by for an informal concert featuring the Vocal Jazz Ensemble directed by Masa Ishikawa. This performance, held in the Courtyard Café offers the chance to see the ensemble in a more intimate setting without all the fuss of a traditional concert. The Gustavus Wind Symphony, under the direction of Heidi Johanna Miller, performs its final concert of the year featuring works by Jennifer Higdon, Ron Nelson, and Julie Giroux. There will also be a special guest appearance by Adjunct Assistant Professor of Trumpet Jonathan Brandt performing Alan Hovaness’ “The Prayer of St. Gregory.” This performance will be livestreamed. 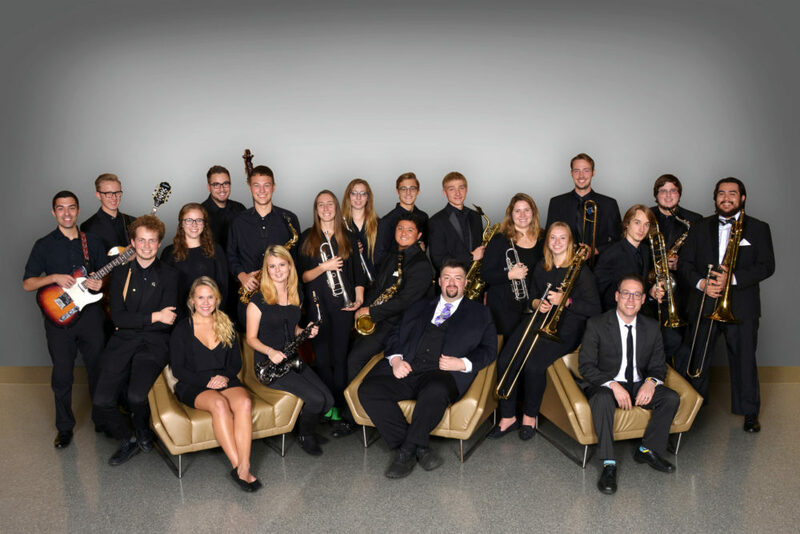 The final jazz concert of the year features both the Adolphus Jazz and Gustavus Jazz Ensembles, directed by Dave Stamps. Included on the program are jazz classics from “Dreamsville” by Henry Mancini and “Cheek to Cheek” by Irving Berlin to more modern jazz works like “Hit the Ground Running” by Gordon Goodwin. This performance will be livestreamed.